The Hungry Caterpillar Activities - Happy Birthday, Eric Carle! 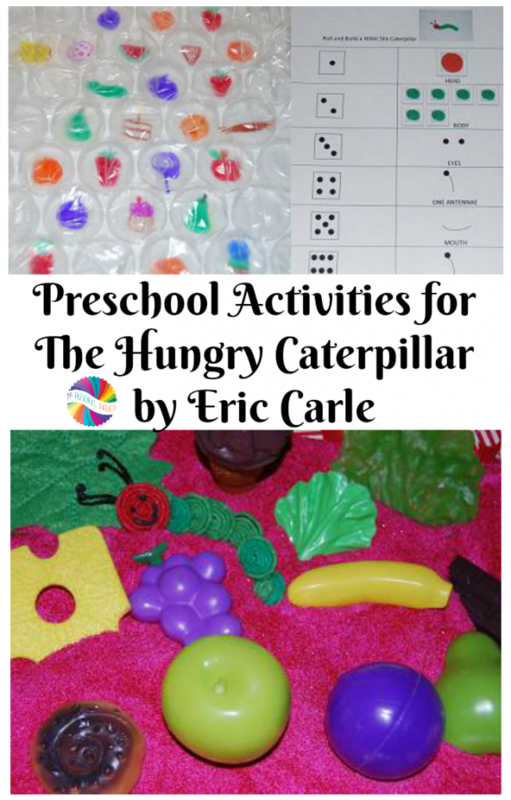 Preschool Activities for The Very Hungry Caterpillar by Eric Carle! Disclosure: this post and others within the blog contain affiliate, distributor, and /or sponsored links and content. Please see our disclaimers and terms for more information. Eric Carle is a beloved children’s author and illustrator. The Very Hungry Caterpillar is one of our preschoolers favorite books. It’s a timeless classic to be read over and over again. Read the book and invite your own kids to playful learning with The Very Hungry Caterpillar. After reading The Very Hungry Caterpillar to the children, discuss foods the caterpillar eats on each day of the week. Give the children a piece of bubble wrap and a standard piece of white paper. 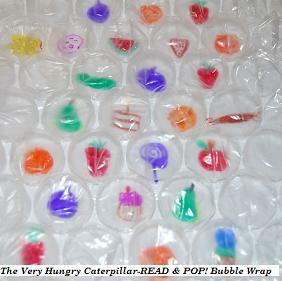 The children should place the bubble side of the wrap face down on the sheet of white paper. On the back side of the bubble wrap, have the children draw all the foods found in the story using the corresponding marker color for each food. **Note: younger children may not wish draw all of the foods – the children can make marker “dots” for the apple, pears, plums, strawberries, and oranges. Ask the children to turn the bubble wrap face up on the white paper. The children will be able to see all of the foods through the bubbles. Read the story a second time. As each of the foods in the story are introduced, the children can POP! the number of bubbles that correspond to each food. 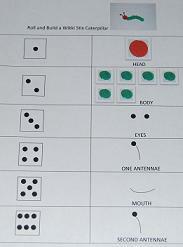 It is a great activity for incorporating fine motor work, literacy, and counting skills! Print a copy of the file linked above for each child. Give the children one die to roll. As the children roll the die, they must count the dots and make the corresponding caterpillar body part from the stands of Wikki Stix or the pipe cleaners. The children should keep rolling the die until all body parts are made. 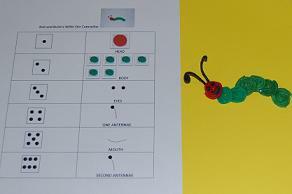 Save the created caterpillars to use in the sensory bin below. The kids can use their caterpillars in the sensory bin below! Pipe cleaner or Wikki Stix-crafted caterpillar from the math game above. Note: if using pipe cleaner caterpillars, interlock the spirals by threading together so the caterpillar remains intact within the sensory bin. As the children become familiar with the book, they will begin to retell The Very Hungry Caterpillar using the items from the sensory bin; on MONDAY, my caterpillar ate an APPLE! 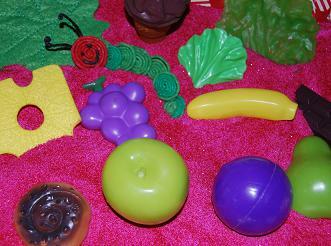 It is amazing to watch young children discover textures and begin to tell stories through sensory play. “The Very Hungry Dad” – a book to create for kids! 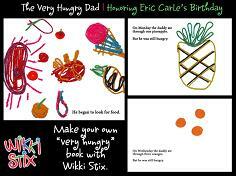 For a FUN book for Kids to Create and Make – visit “The VERY HUNGRY DAD” at Wikki Stix! Your kids might also like making a butterfly life cycle! It’s a perfect fine motor activity for playful learning in preschool!